Florida or the land of flowers mesmerizes tourists from around the globe with its beautiful landscape, panoramic views, and majestic beaches. Lying in the close proximity to oceans, you will find its influence on the culture and daily life here in Florida. The state is also well known for water sports, golf, auto racing, and tennis. Florida has seen an increased inflow of migrants that came to the state in search of a job in the developing economy. If you too are looking for a well-paying career, how about preparing for the written and practical hearing aid specialist licensing exam here in Florida? Do you know Florida has the highest percentage of people over 65? One in every three people above the age of 65 suffers from some level of hearing loss and thus needs hearing aid help. As a hearing aid specialist, you can help people hear better while having a secure job. Sean Lance Berdy or Sean Berdy, a native of Florida, is a popular actor, performer, and a director. But what differentiates him from other actor is that he was born deaf. Since he was little, he enjoyed performing for family and friends. In 2010, he competed for the title of Mr. Deaf Teen America where he won and traveled around the U.S for a year to raise awareness about deafness. Seam Berdy showed that hearing problem is not a disadvantage. If you are looking for a new career option that provides stability, a good inflow of money and can make you feel good about yourself, a career as a hearing instrument specialist is what beckons you. As a hearing aid specialist, you get the freedom to work according to your convenience and earn as much as you want. Do you know Hearing Aid Academy students generally receive a starting salary of $60,000 to $70,000 per year upon getting licensed? One of the fastest growing industries, hearing instrument services industry is backed by long-term stability and positive income flow. The job market is not going to get slower in the near future. Hence, if you are looking forward to switching your career or want to earn a reliable income while helping people, prepare for the hearing aid specialist licensing exam here in Florida. At Hearing Aid Academy, we have a great track record of success. In order to become a licensed hearing aid specialist, you need to pass a written competency exam here in Florida. The hearing aid specialist licensing exam is administered by the International Hearing Society (IHS) and is conducted through each state within the United States. Along with the written exam, you need to clear the practical International Licensing Exam (ILE) also administered by IHS. The hearing aid specialist licensing course offered by the Hearing Aid Academy here in Florida comes with plenty of benefits. You can avail the following and various other benefits by enrolling in the HAA online hearing aid specialist program. The Hearing Aid Academy hearing instrument specialist course is 100% online. This means you can work during daytime hours, spend some time with your family and study according to your comfort. However, if you choose the traditional method, you will be required to make a huge financial commitment as well as spend 2 or more years to complete the course. Thanks to the advancement of technology, you will receive this specialized education through an online channel. The curriculum features more than 100 hours of video training divided into 31 modules. You can learn at your pace from animated audio and video clips, video lectures, voice lectures, text assignments and web sessions with experienced instructors. While a traditional school requires you to pay an average tuition fee of over $48,000 for two years, you can complete this specialized training in a fraction of the amount and time. So fast track your education by opting for the specialized training program offered by Hearing Aid Academy. As this is a 100% online and self-paced program, you can complete this course is less than 12 weeks or a maximum of 6 months depending on your speed. We offer the quickest way to clear the hearing aid specialist licensing exam and start practicing as a hearing instrument specialist. When you complete the specialized education program, you are in a position to clear the written and practical licensing exam here in Florida. After passing the International Licensing Exam, you will be in a position to fill the top quality jobs offered by retailers. Do you know for every licensed hearing aid specialists there are five job opportunities? Upon the completion of the program, HAA students are able to earn an average salary of $60,000 to $70,000 per year. 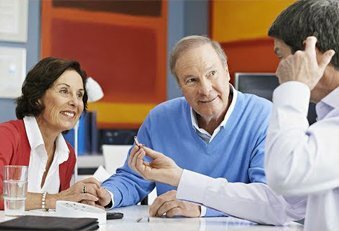 Moreover, independent hearing aid specialists are also able to make a 6-figure salary by helping people hear well. At Hearing Aid Academy, we have an exceptional proven track record of success. Students who have completed our program were able to clear the written and practical hearing aid licensing exam with ease. For more than a decade, we have worked with businesses to prepare their employees for the licensing exam and helped people from non-medical background earn a 6-figure salary annually by clearing the state licensing exam. Now it’s your turn to invest in yourself. Learn new skills and enjoy a well-paying career you can be proud of. As a hearing aid specialist, you will be working daytime hours and have weekends and holidays off to enjoy some time with your family. If you want to want to make a difference in people’s lives yet want to earn a consistent income, enroll for the program and clear the hearing aid specialist licensing exam here in Florida in less than 12 weeks.